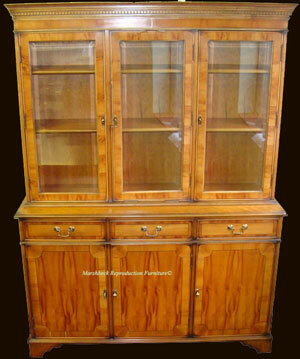 Superb reproduction Regency glazed bookcase/display cabinet with a huge range of style and finish choices. 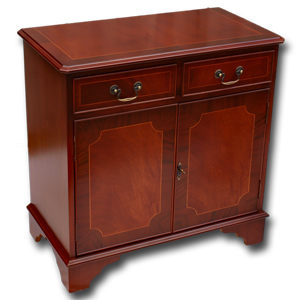 Choose between yew,mahogany and oak plus whichever colour, finish and desgn aspect appeals the most. 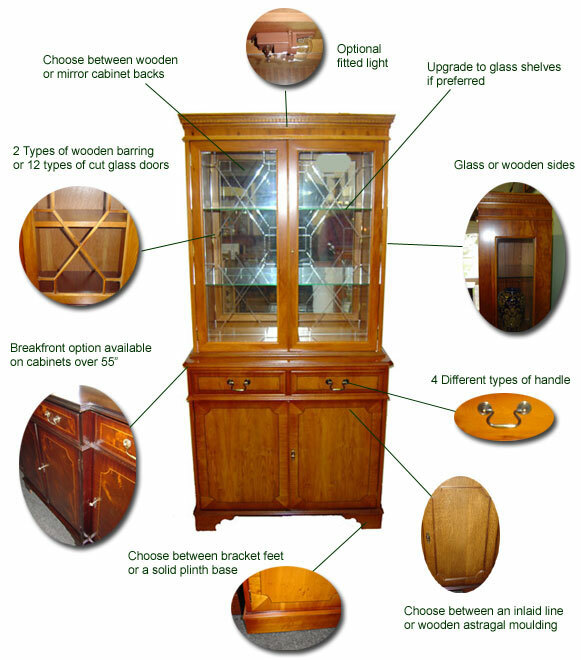 If you would like any assistance regarding any of the options below please call or email and we will be happy to help you design your perfect cabinet! 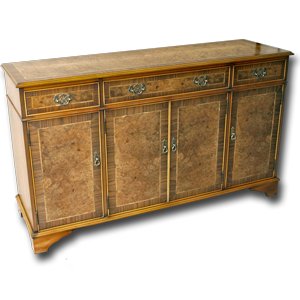 These fine reproduction furniture Regency sideboards are available with either bracket feet or a solid plinth. All sideboards feature adjustable internal shelves. We can also supply bespoke versions, built to your requirements - please ask. 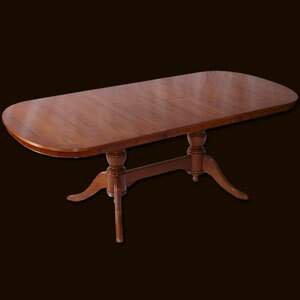 Superbly finished in burr walnut, mahogany, yew or oak and in your preferred shade and finish. 78" Extended with an 18" centre leaf.